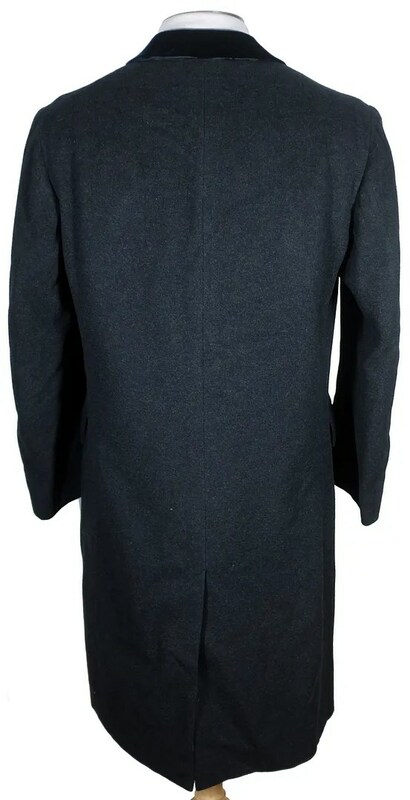 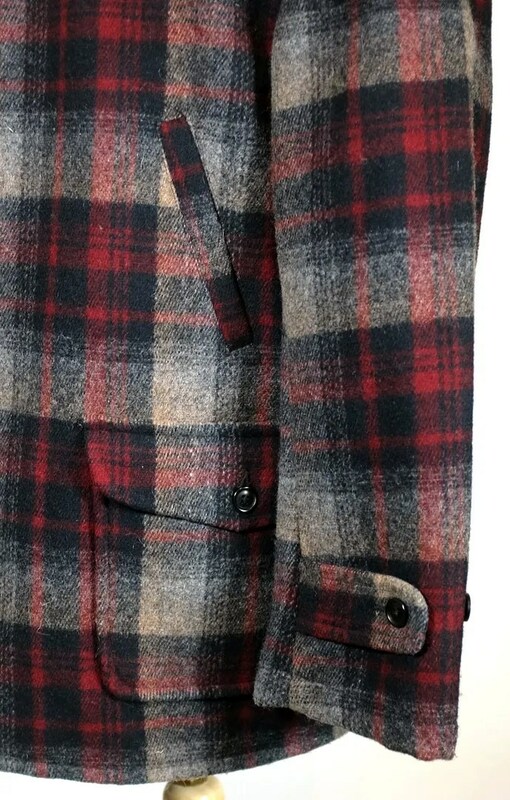 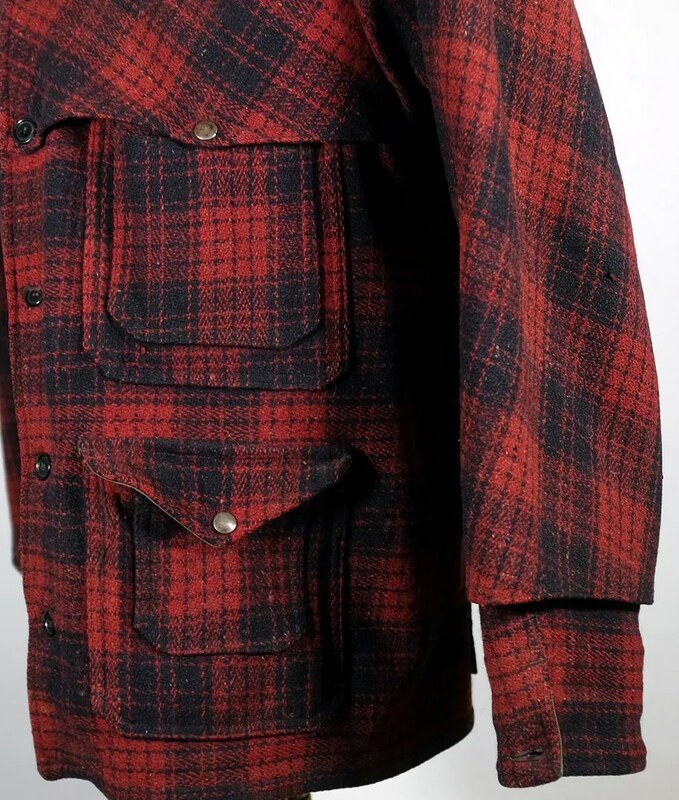 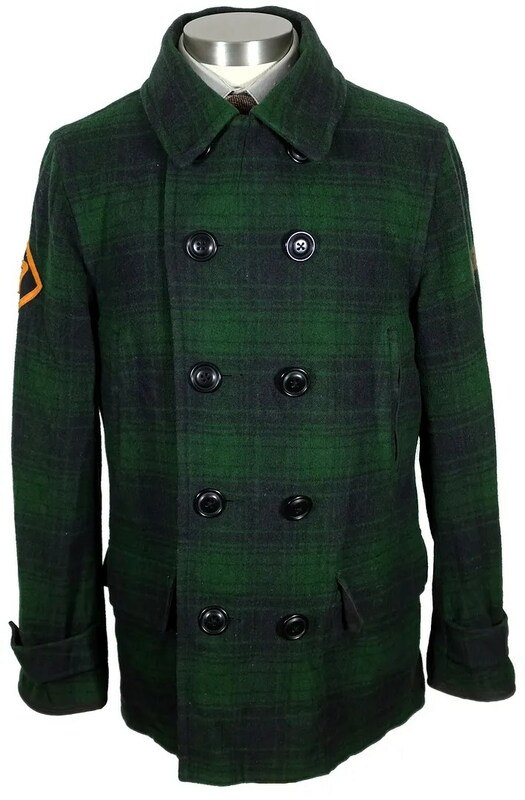 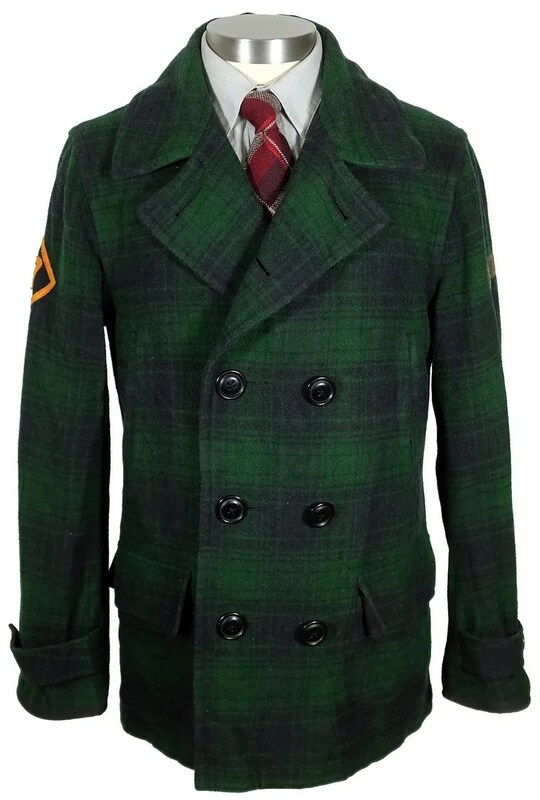 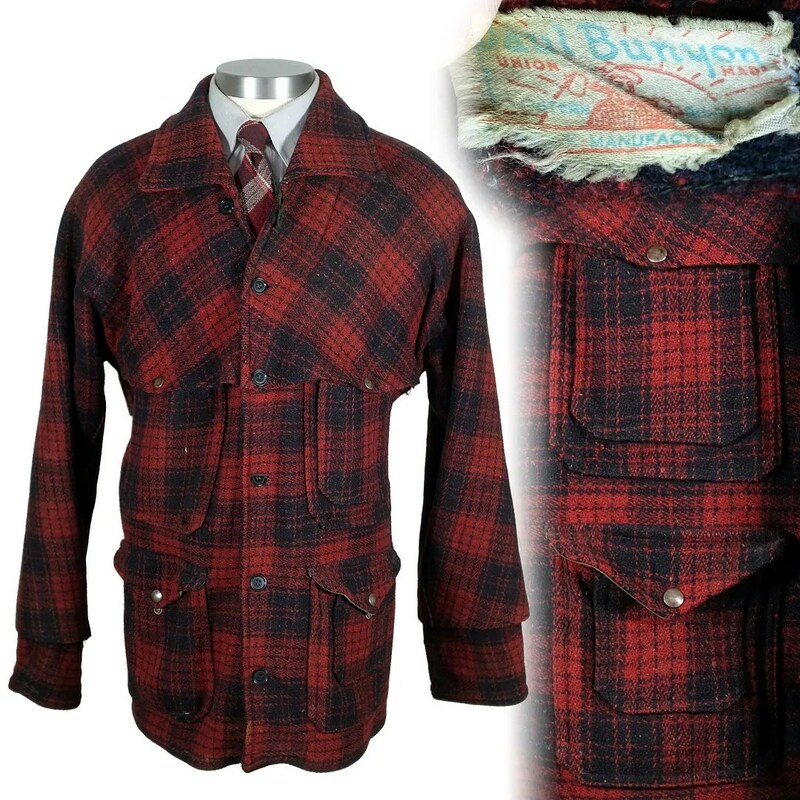 This mackinaw coat was made recently, with a design taken from work mackinaws of the 1930s, with a belted, pleated back, handwarmer pockets, a double breasted front and flapped cargo pockets. 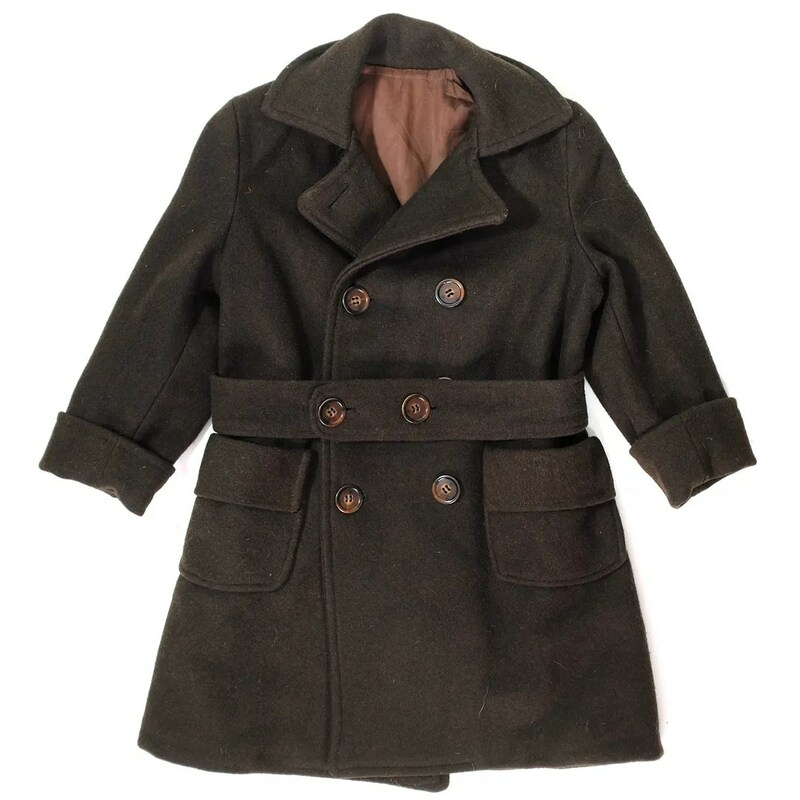 It is made from lighter weight, softer material than the originals and is lined. 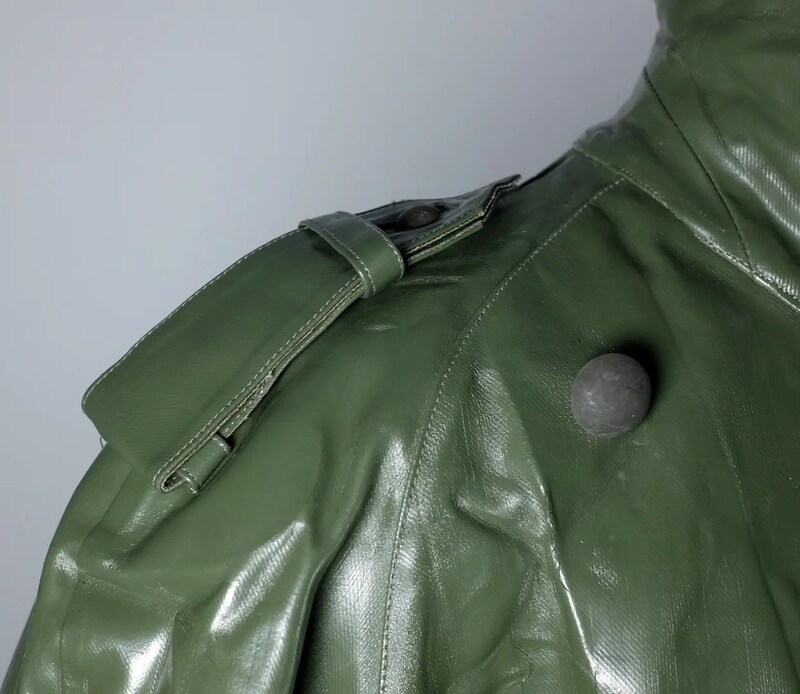 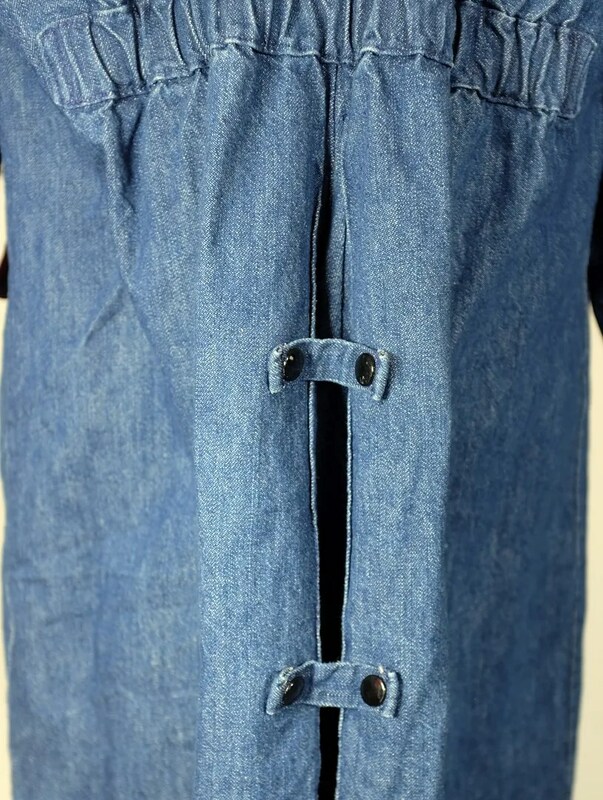 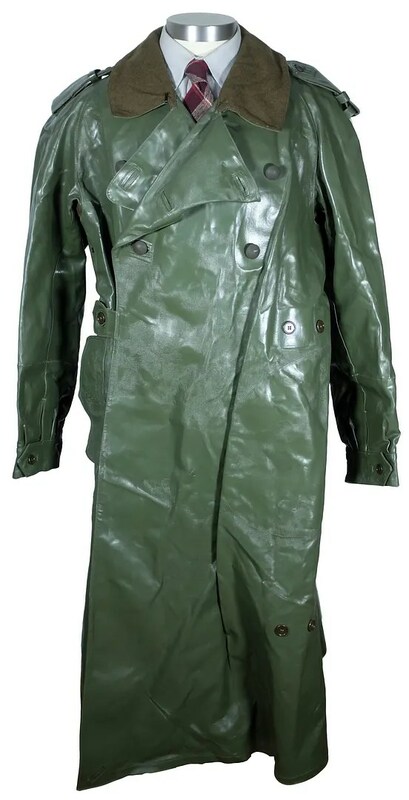 This vintage raincoat is made from heavy rubberized canvas, with a wool collar. 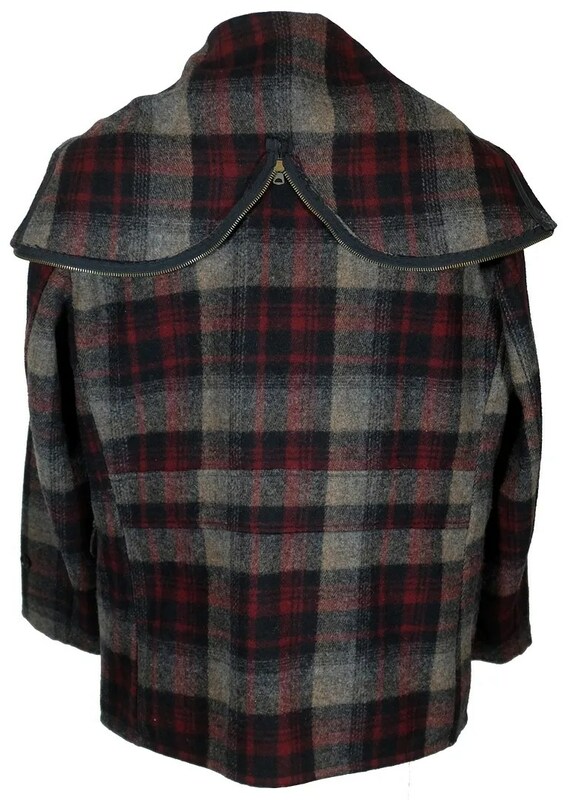 It has raglan shoulders, a typically European buttoned tab closure rather than a more traditional fully buttoned front, epaulettes and a large D pocket map pocket. 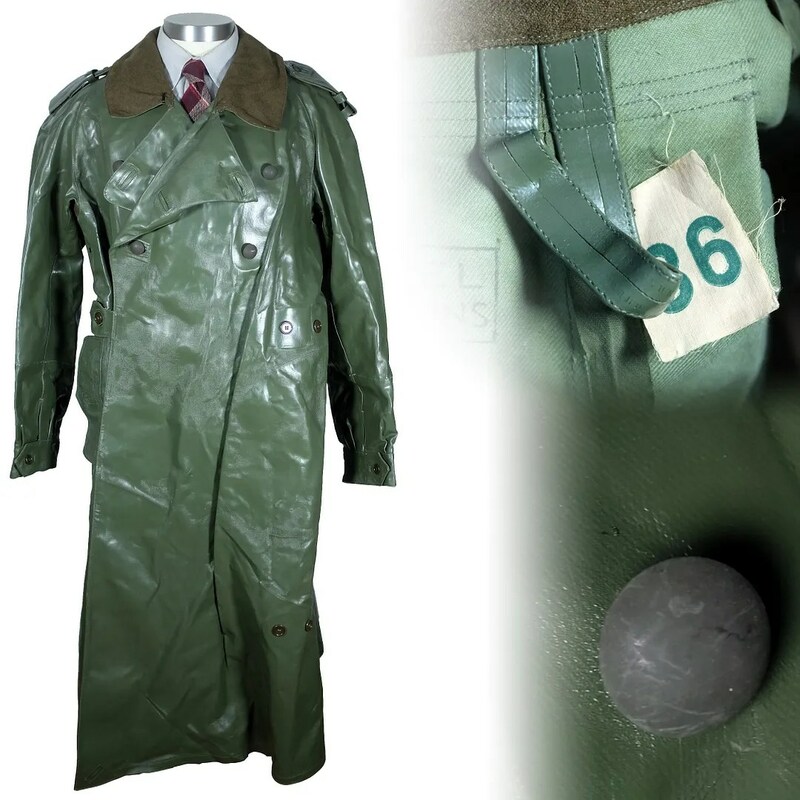 There is a tag reading “36”, but with an extra large 52″ chest, this would best fit around a US 46. 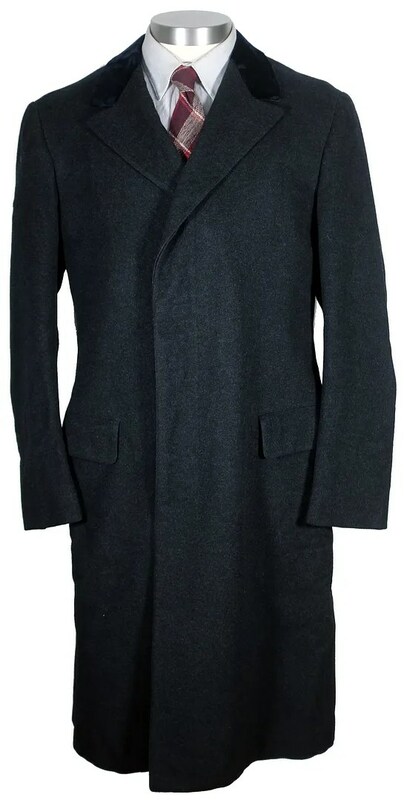 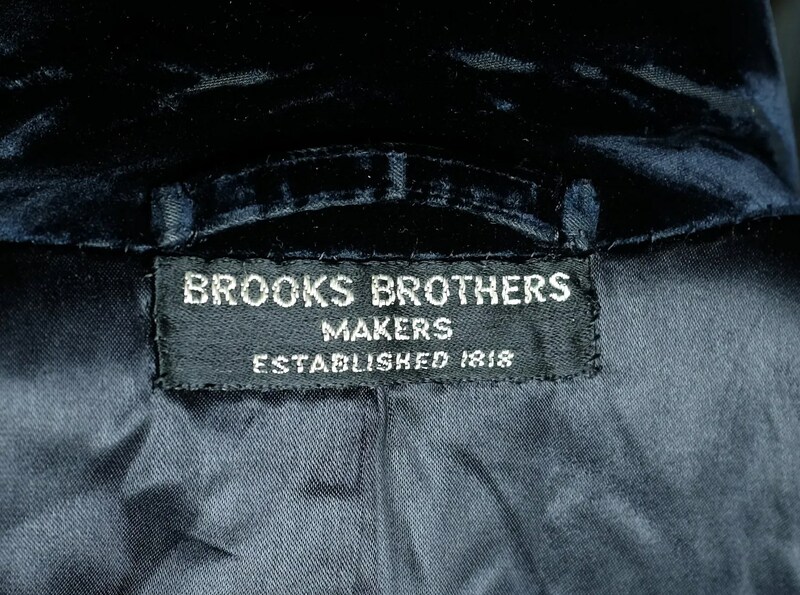 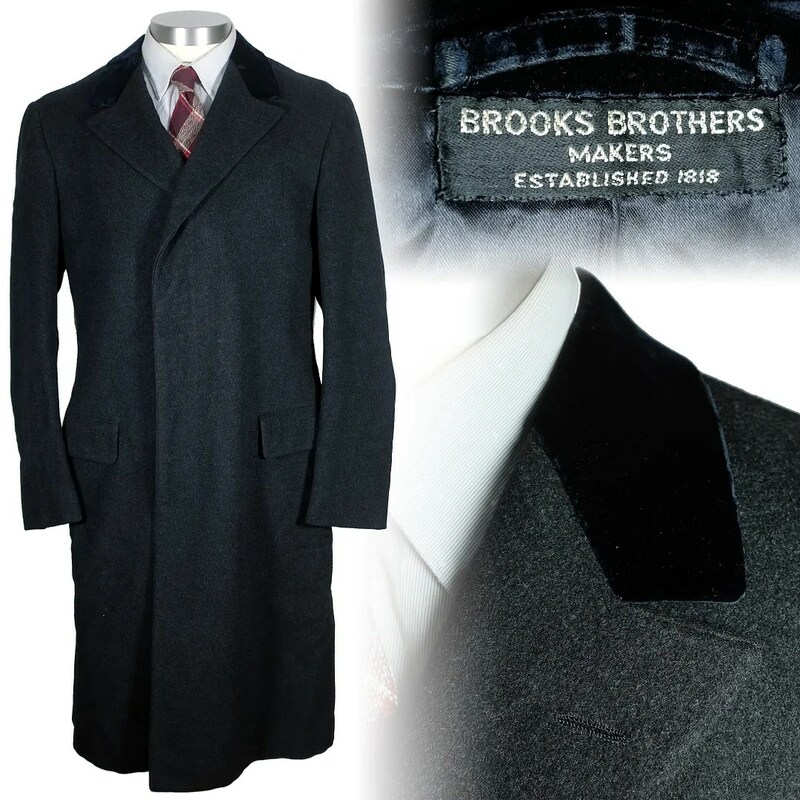 This vintage chesterfield overcoat was made by Brooks Brothers in the 1960s (between mid 1962 and 1968). 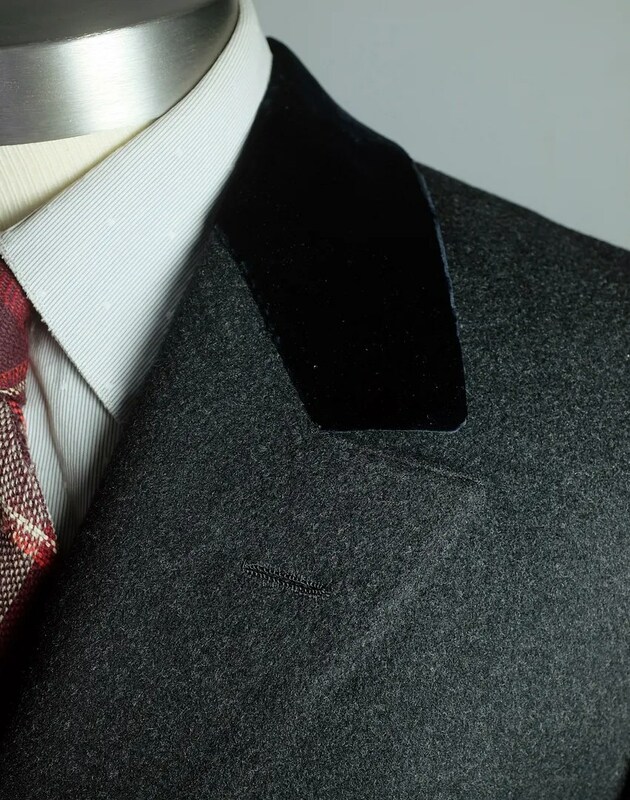 The styling is straight out of the early 1930s, with lazy peak lapels, conservative dimensions and a fly front. 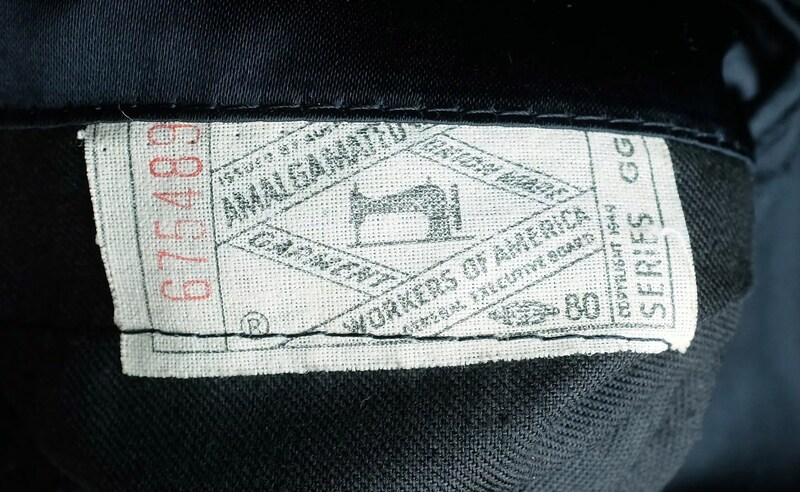 If the union label wasn’t there, I would swear it was made decades earlier. 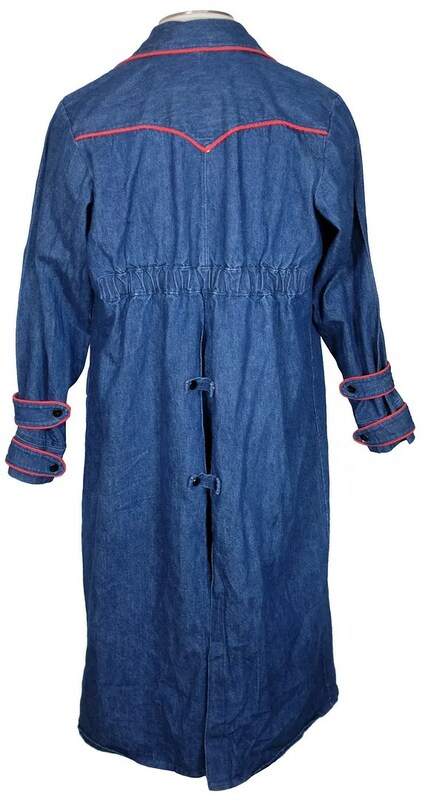 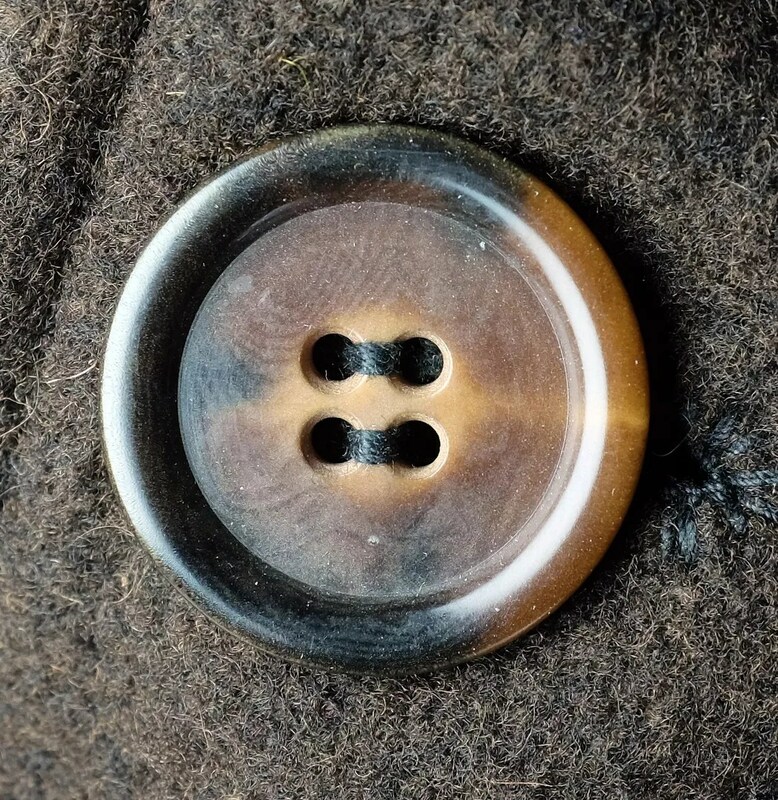 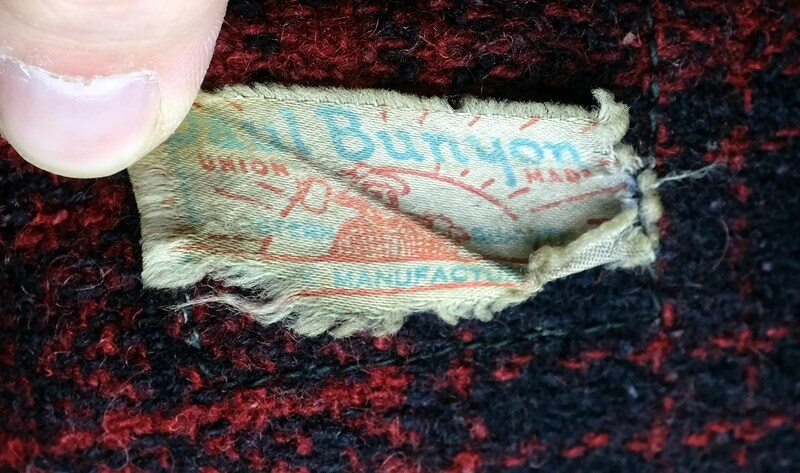 This vintage coat was made in the 1930s by Paul Bunyon. 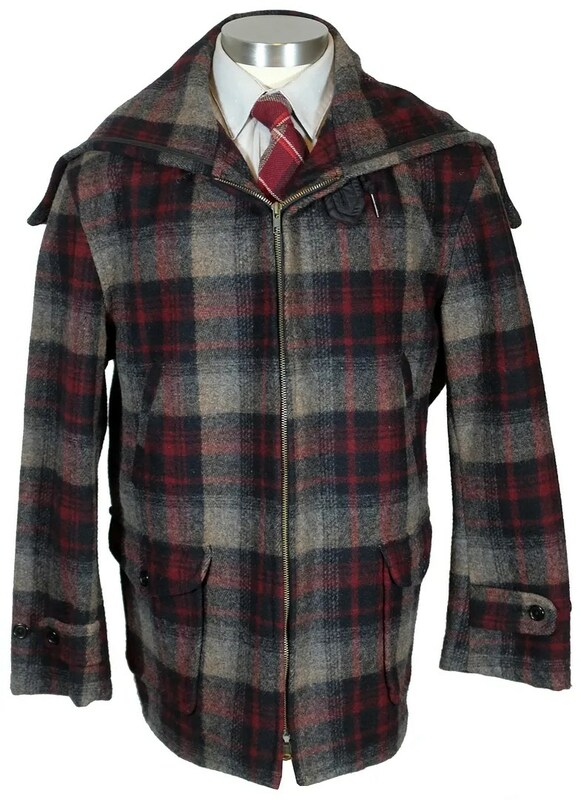 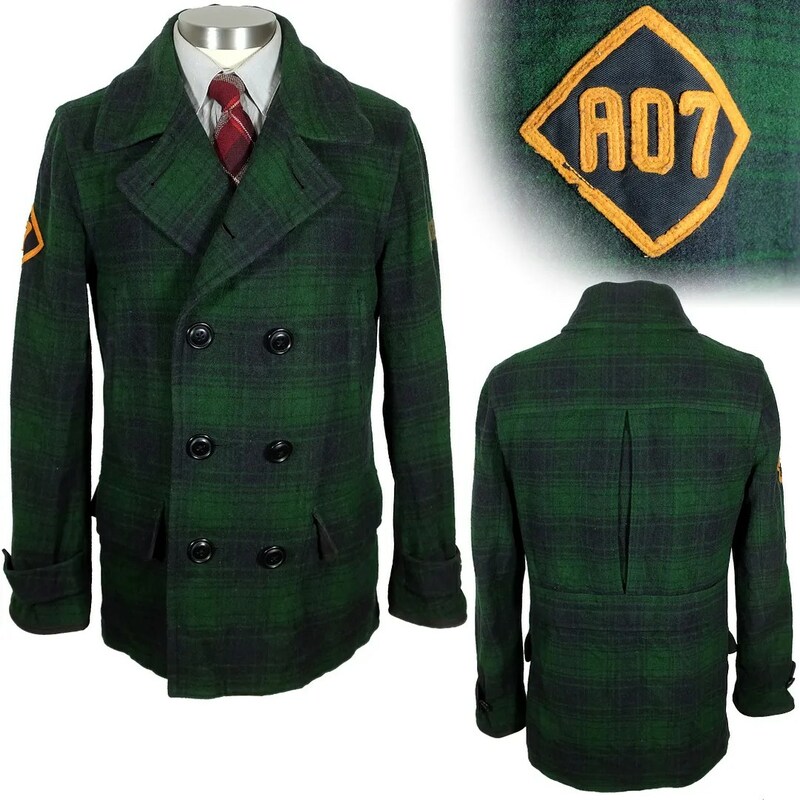 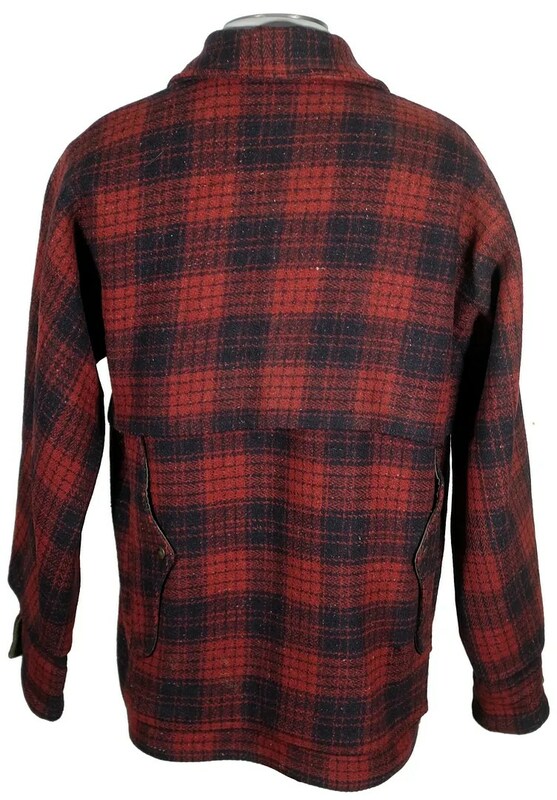 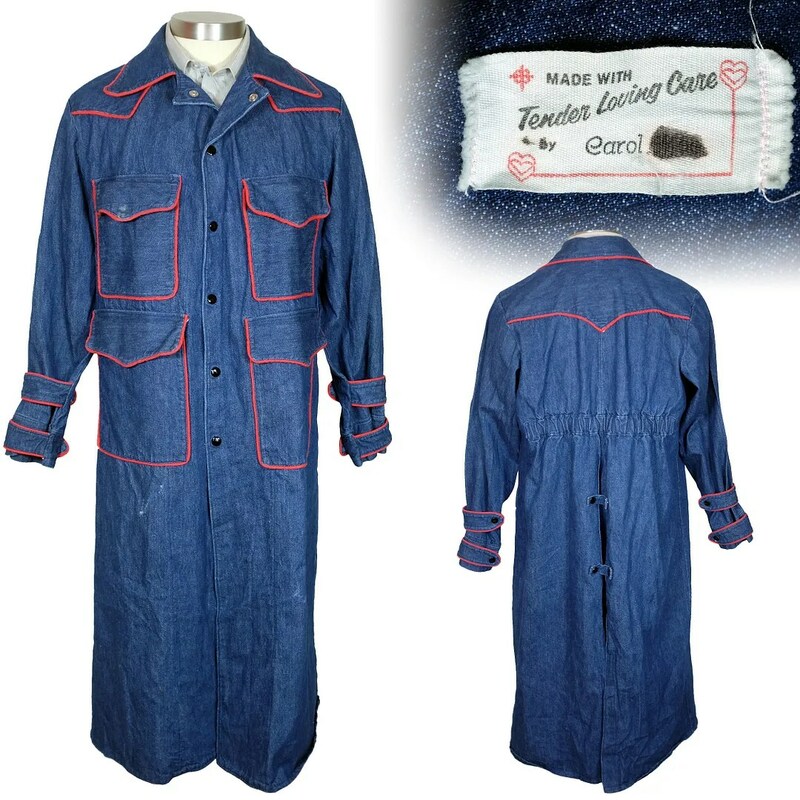 It is a caped double mackinaw model, with a loop closure collar and doubled front pockets. 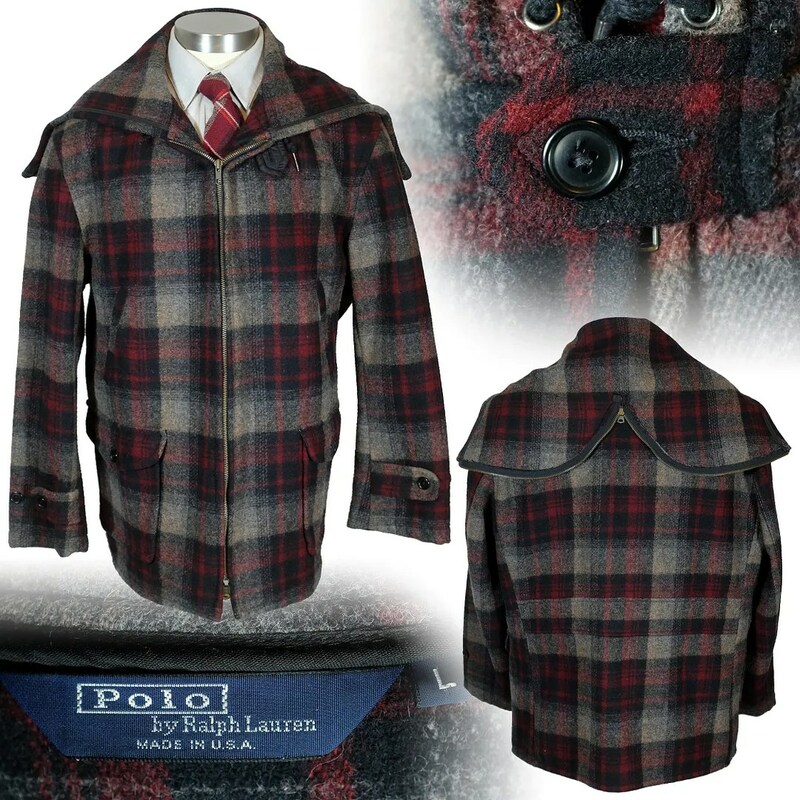 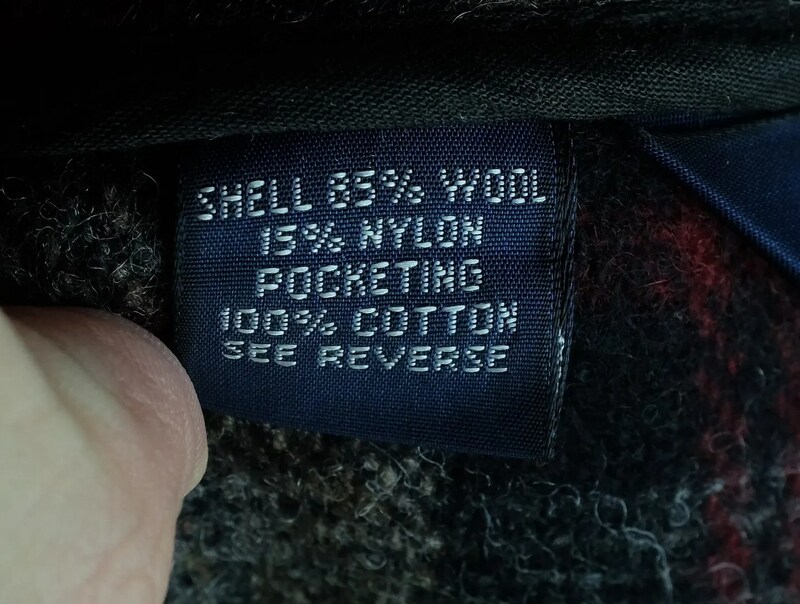 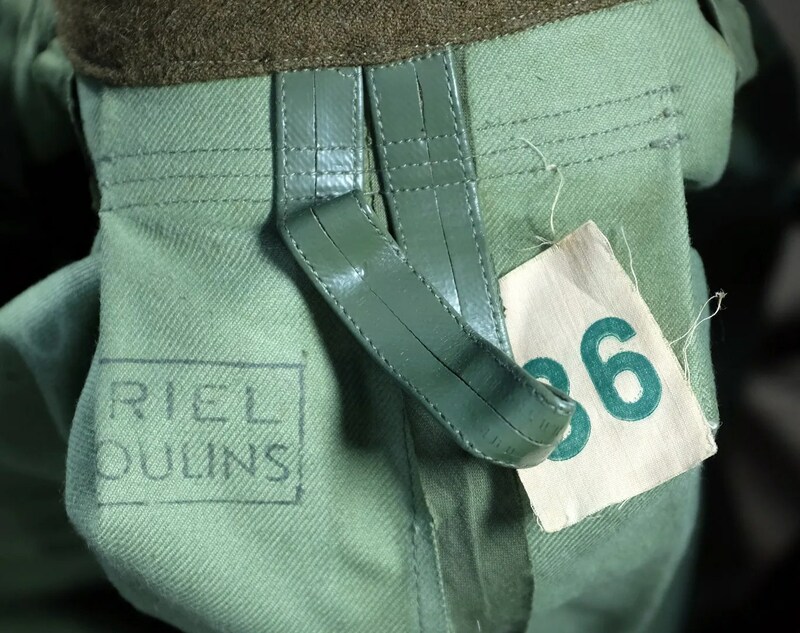 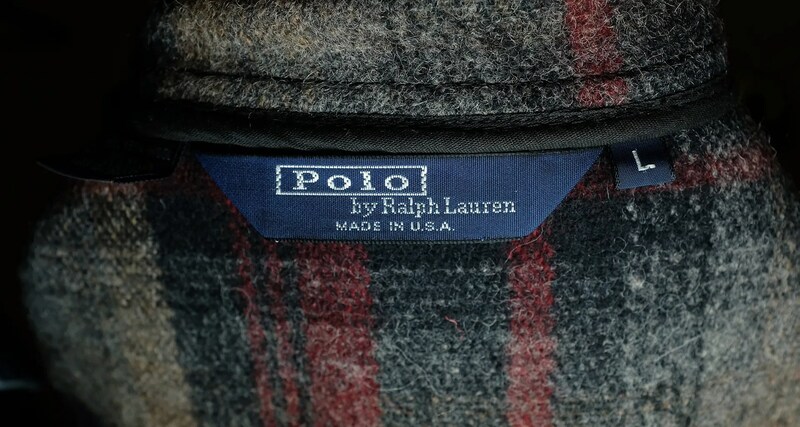 This coat was made by Ralph Lauren under the Polo label. 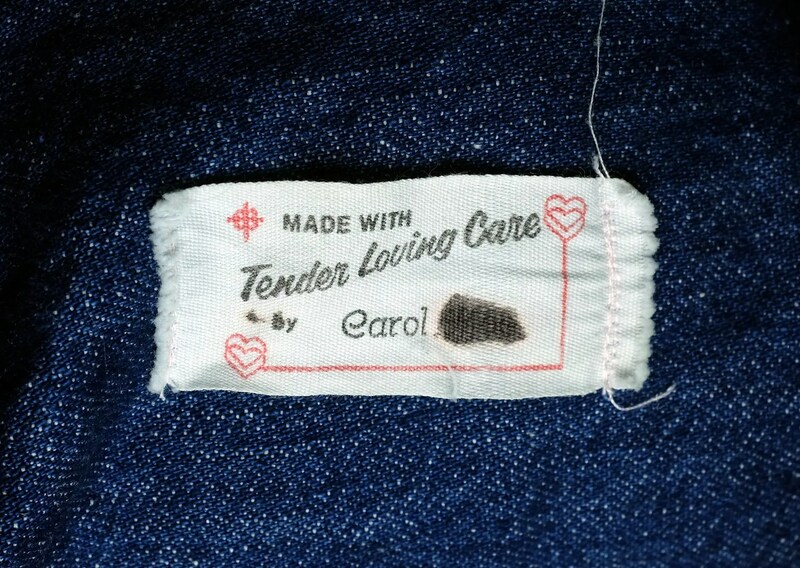 This one was made in the USA and probably dates to the 1980s. 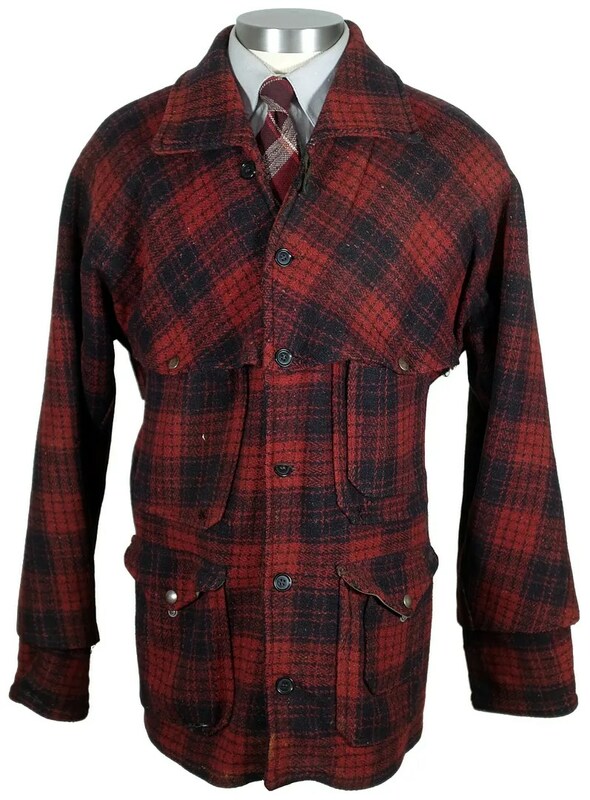 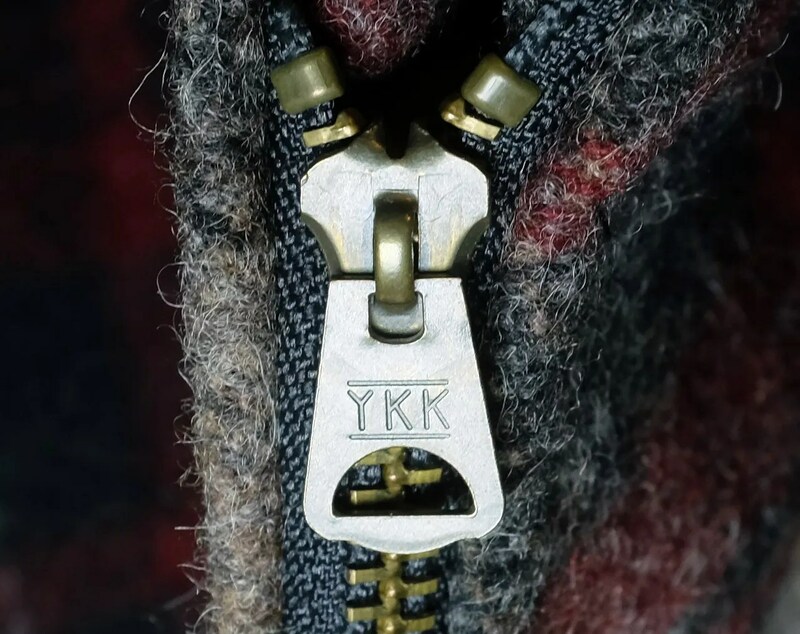 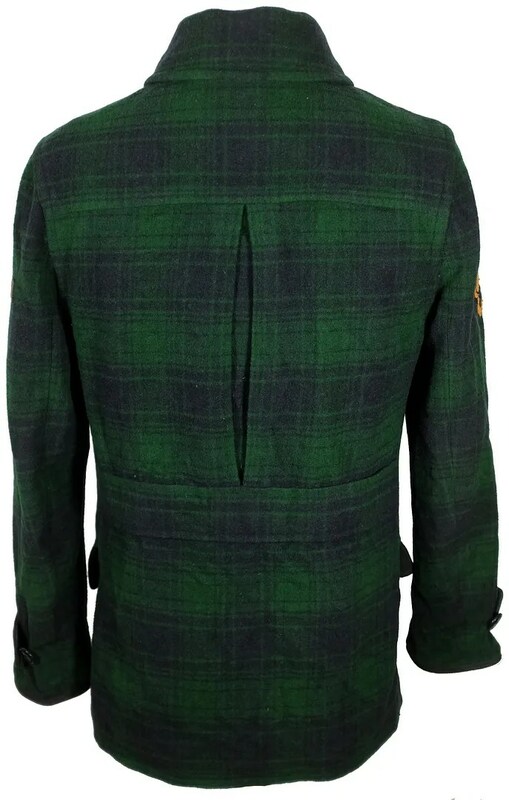 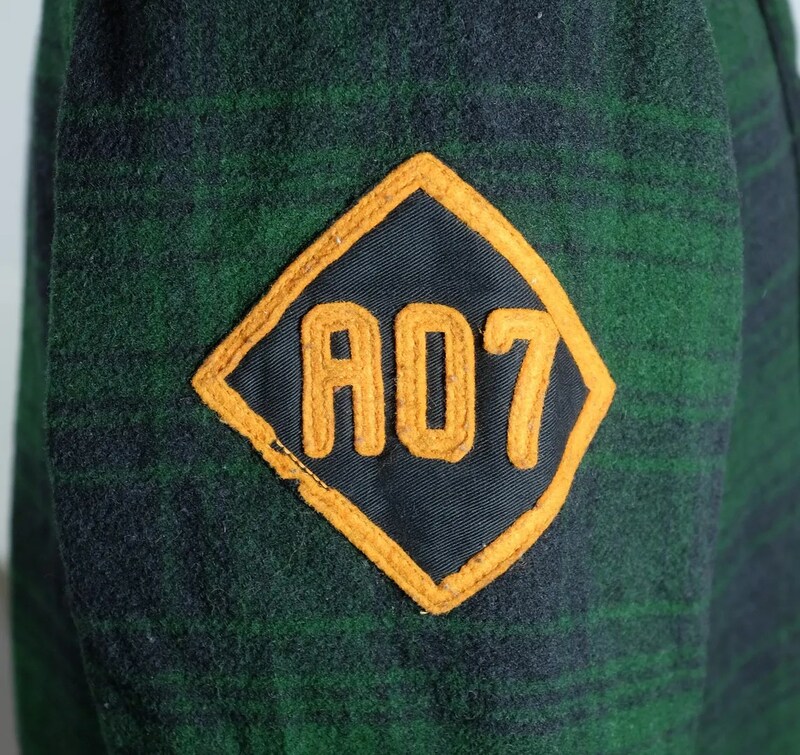 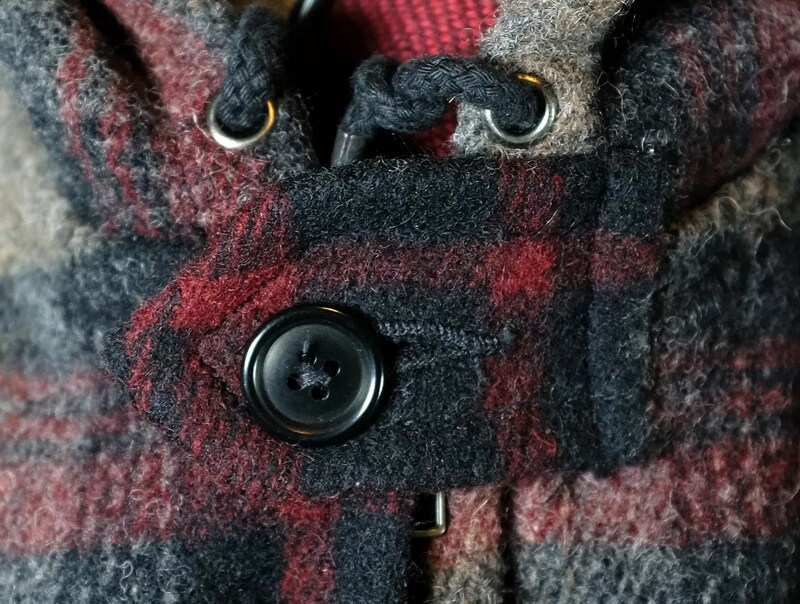 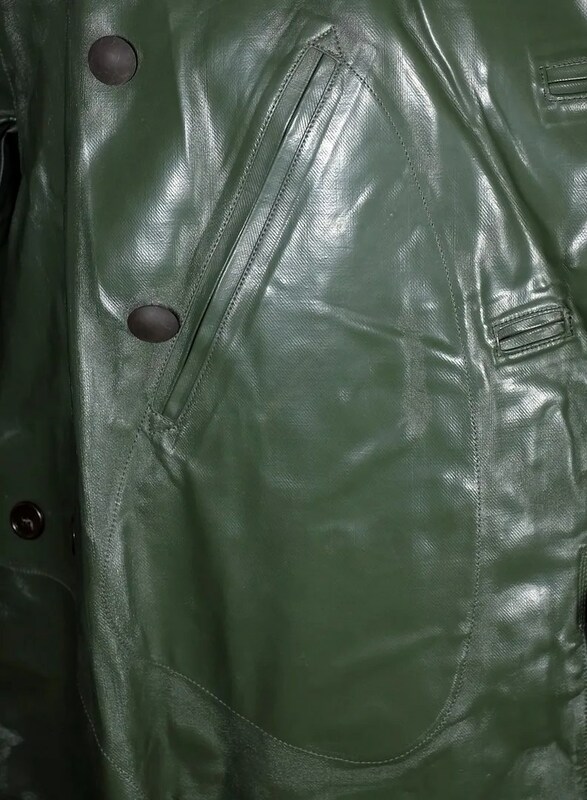 The style is based on a short lived variant on the work mackinaw, popular very briefly in the late 1930s, with a zip front, handwarmer pockets and flapped cargo pockets, a belted back and a zipped split hood. 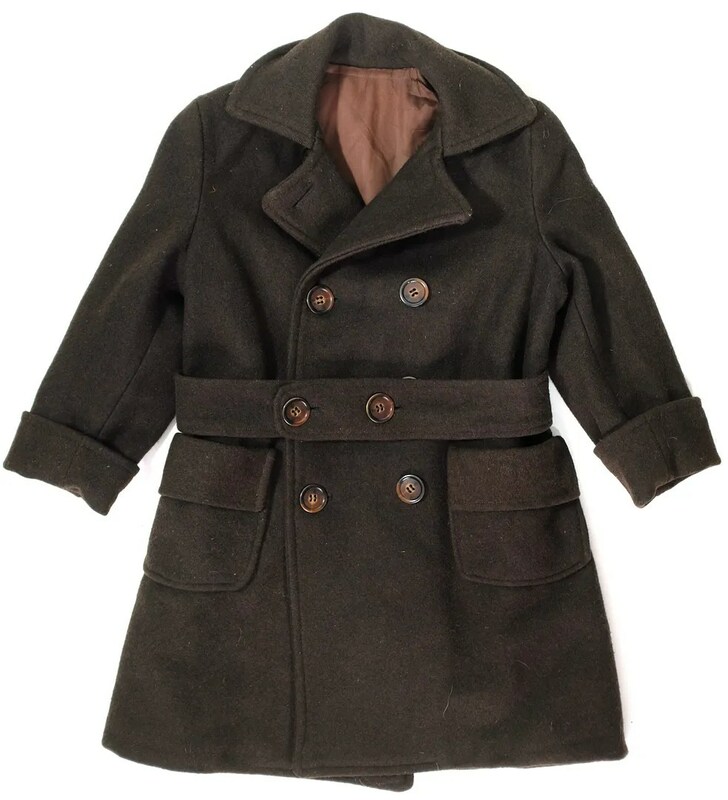 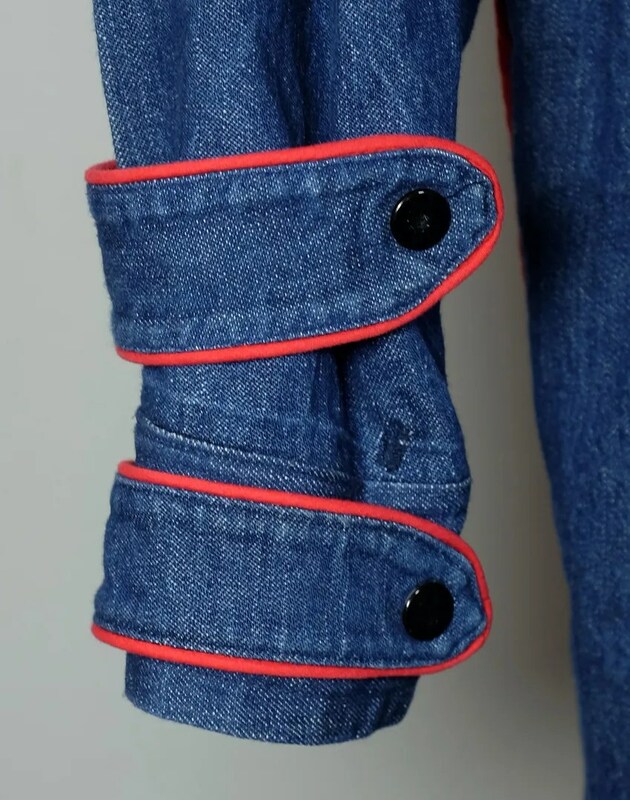 In keeping with the origins, this one is made with unlined construction. 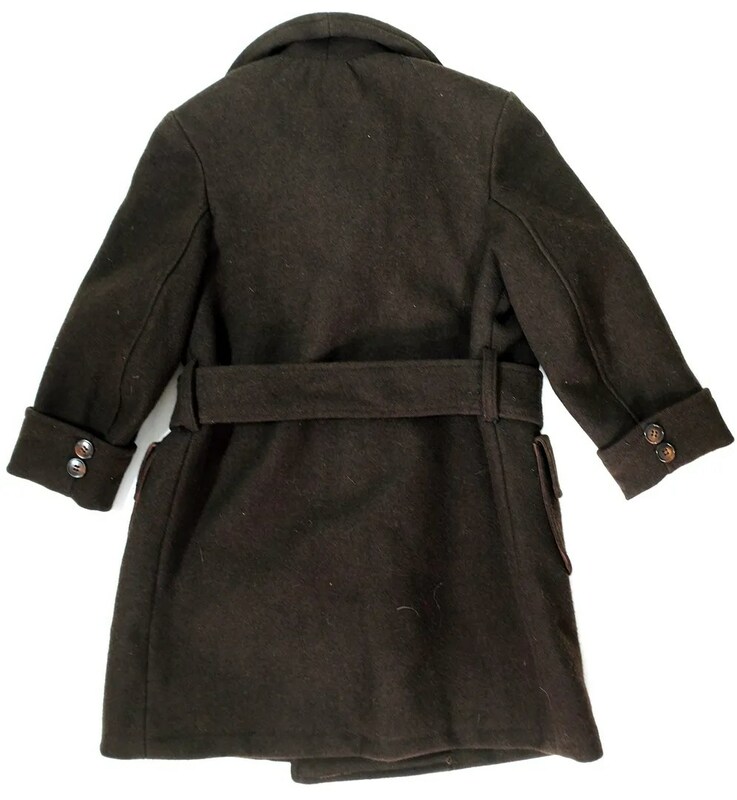 This vintage coat was custom made in the 1970s, with an elasticized back, a deeply slit back, double buckled cuffs and a snap front.